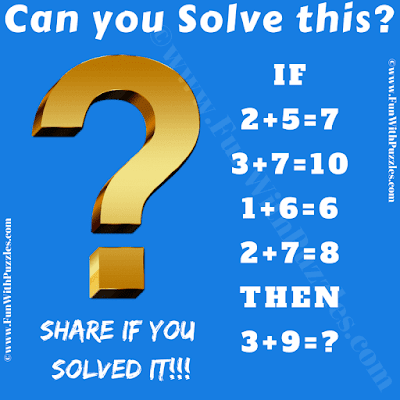 There are some Brain Teasers in which one does not require any Logical Reasoning or Mathematical Skills. 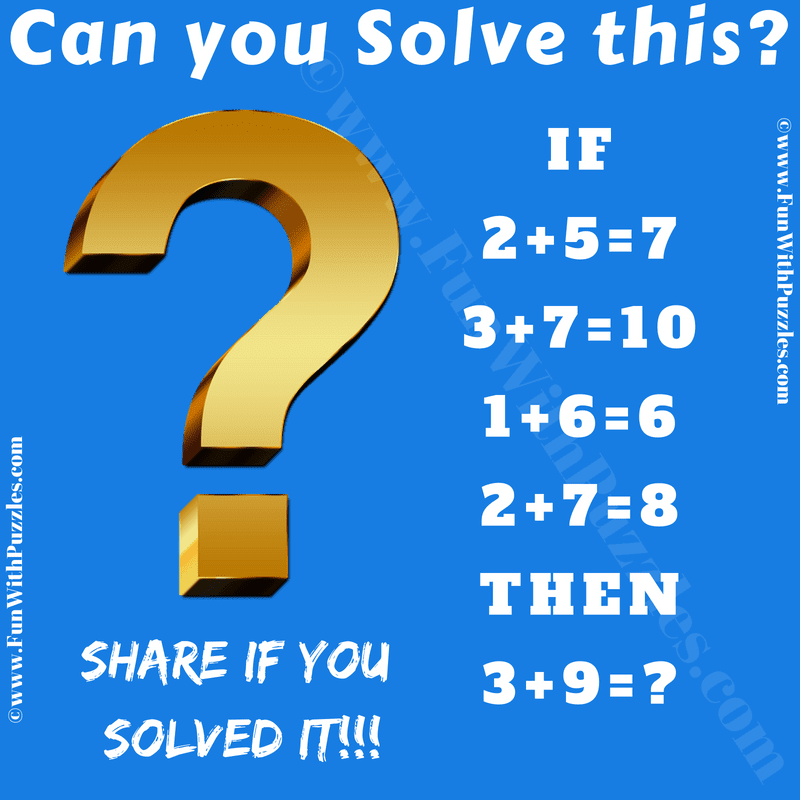 However there are some Brain Teasers in which one has to think out of Box to solve such puzzles. This Brain Teaser Question falls in such puzzle category, which will make you think out of box. Lets see if you can think laterally and solve this Brain Teaser Question? Can you solve this Brain Teaser Question? Answer of this "Brain Teaser Question for Adults", can be viewed by clicking on answer button. Please do give your best try before looking at the answer. Write digits on the left side of equation in English. Right side gives the sum of the letters on the left side of equation e.g.